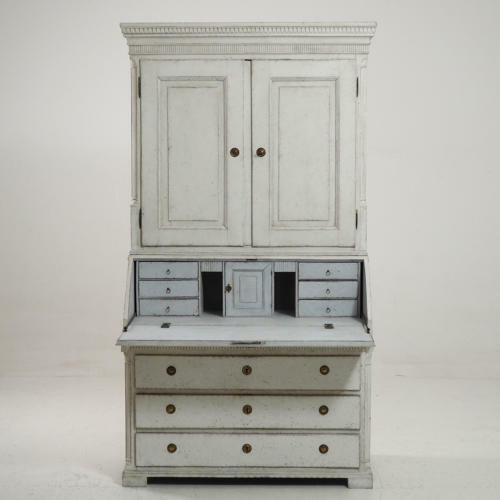 Swedish Gustavian period three parts secreter, richly carved and with original lock, key and hardware. Probably made for a manor house. Later paint.